Wheat prices have jumped more than 50% and corn prices more than 45% since mid-June as drought in Russia, the US and Australia have partly destroyed crops. 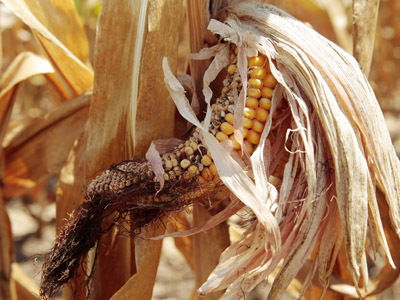 Experts warn that a looming food crisis could hit global growth. Russian grain prices reached record levels last week after the Government cut its 2012 harvest forecast to 86.5 million tons from an earlier estimate of 94 million tons. The move sparked fears the country could impose export restriction as it did in 2010. Reduced crops could not only hit Russia’s exports, but it also speeds up the inflation rate, which the Russian Central Bank is struggling to bring down, says a report from HSBC. The inflation rate could reach 8% from the currently estimated 3.6%, HSBC analysts warn. It could force RCB to revise its interest rate by 100 points. 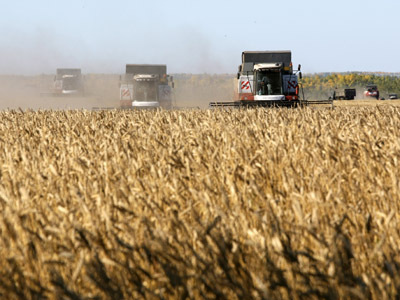 Russia, the world's second largest wheat exporter after the United States, plans to export between 13.5 million to 13.8 million tons of wheat for the season 2012-13. That's compared with an estimated 21 million tons in 2011-12, according to the Institute for Agricultural Market Studies (IKAR). Alongside that, nearly half of the corn crop in the US Midwest is now in poor or very poor condition as the area faces the worst dry heat in more than 50 years, according to the US Department of Agriculture's (USDA) weekly crop progress report. 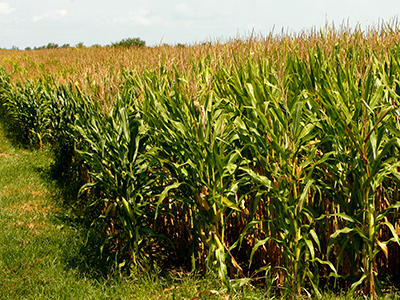 The report showed the condition of corn and soybeans each fell by 2% last week. Soybean prices gained more than 20% in recent weeks at the Chicago exchange. Soybean prices will likely continue to rise as the dry heat continues in the area where soybeans are the major crop. Diary products and meat are also likely to become more expensive as prices of corn, used in animal feed, go up. Prices of oils and fats as well as other products, containing soybeans, are facing the most dramatic increase of 4-5%, according to USDA. Meanwhile grain output in Western Australia, the country’s main wheat region, may drop 40% due to the extremely dry weather pushing prices to the highest since 2008. Total production may be 9 million to 11 million metric tons in 2012-2013, compared to a record harvest of 15 million tons in 2011, according to CBH Group, the state’s biggest handler. Drought in Australia fueled concerns among Asian customers. Though China and India have enough grain in their stockpiles, Japan, Vietnam and Indonesia have bought ahead imports for just two months. The World Bank on Monday said it’s ready to help governments respond to a grain price hike, which could affect the world's poorest people. “We cannot allow short-term food price spikes to have damaging long-term consequences for the world's most poor and vulnerable,” the President Jim Yong Kim said in statement. The World Bank is watching the situation closely to “help governments put policies in place to help people better cope,” he said. In 2008 a rise in food prices caused riots in some countries and raised questions about the use of crops to make bio fuels.